Many times we like to backup Amibroker database for use in times of contingency where due to some technical reason we might lose the database in Amibroker which we had saved in a long period of time. This becomes all the more important in case of real-time intraday data. 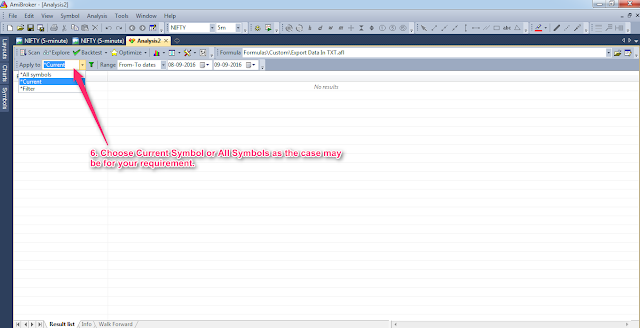 For this very reason there is an Amibroker AFL to export data from Amibroker. Intraday Amibroker data can be exported in chosen timeframes like one minute, three-minute, five-minute, 10 minute, 15 minute and so on. Some users need the database in .csv format and some others in .txt format. For this very reason I am uploading here the Amibroker export data AFL for both kinds of formats. You may like to use any one of them as per your preference. 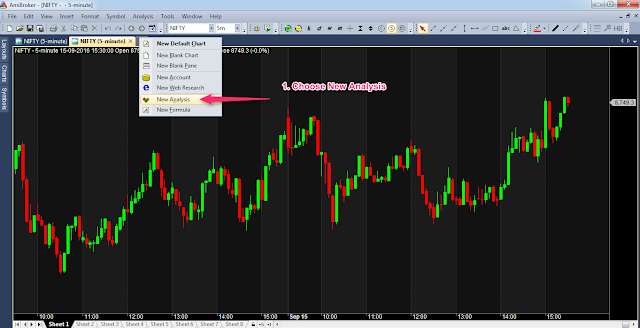 To make things easier I'm posting screenshots of the process to export intraday data from Amibroker through the use of this Amibroker AFL. First you will have to place the Amibroker AFL in the Formulas folder of your Amibroker directory. 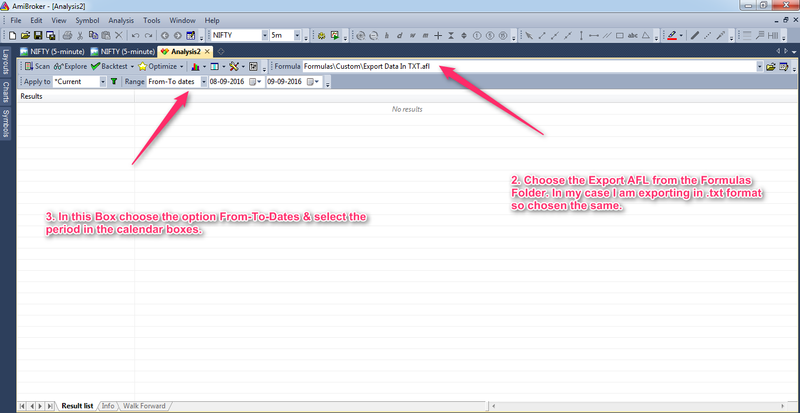 Then you will have to create a folder where you would like to save the exported data. 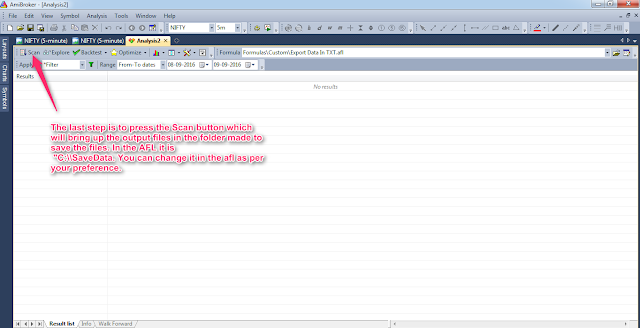 In case of this AFL the folder used is C://SaveData. 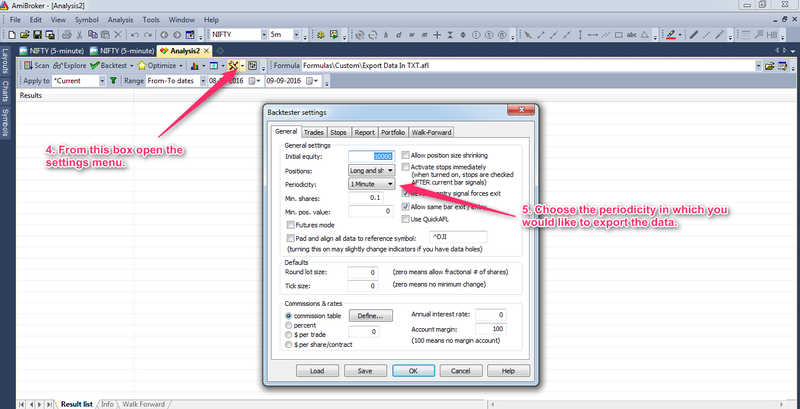 If you like to choose some other folder then you will have to make changes in the export intraday data Amibroker AFL. For understanding the process of intraday data export from Amibroker please go through the images posted below. You can find the download link below the Images.